I recently found out I am pregnant and am trying to find an OB/GYN. I had wanted to meet with the doctor and ask some questions prior to scheduling an appointment. I wanted to make sure I liked her and we mesh well prior to anything!! Well when I asked the receptionist who answered the phone if this was possible she said "well, not really because she is really busy. You would have to schedule an appointment." When I asked what this would consist of she stated "an ultrasound and papsmear." Well what happens if I don't like her and have to go somewhere else? I'm pretty sure my insurance is not going to cover that. As a mom-to-be I want to know my Dr first! I was then told that there were no appointments available for another month. Guess I can mark Dr. Hoffman off my list!! I really recommend this doctor for any women who likes to be treated nicely. She made me very comfortable throughout my pregnancy and had a great sense of humor about everything. Since I was only 18 when I was pregnant she explained everything I didn't know to me to help me understand and not worry. Dr. Hoffman made me feel very comfortable and at ease, even though I was scared because I've had abnormal PAPs. She spent a lot of time getting to know my family and personal history, so I felt like she actually cared. Also, we had great casual conversation during the procedures- it wasn't awkward, like I usually feel during these appointments. I highly recommend her! Dr. Amy Hoffman was an absolute pleasure! She was professional, witty and spent a great deal of time with me asking about my family history and any concers that I have. The first thing she did was apologize about the wait (unusual for a doctor) and based on the average wait time, mine was not typical. I left thinking how happy I am to have finally found an OBGYN that I feel confortable with that makes my health feel like a true priority. I would highly reccomend her to anyone that is tired of being rushed through the office and that will make a pap smear feel like a walk in the park. I have been a patient of Dr. Hoffman's for many years. I first started seeing her because my regular doctor never had any availability. Choosing to see her turned out to be a really good decision. 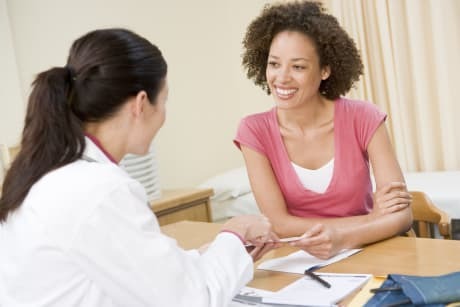 Dr. Hoffman has always taken the time to talk through all of my concerns and give me all the information available so I can make my own decisions instead of just answering the questions I have. Alhtough I only see her once a year, she remembers the details of each conversation we have had and even asks me about things I forgot about! I have been through surgery with Dr. Hoffman and have alwasy felt like I am in good hands. It is really hard to find a good doctor like this that listens, communicates and is really competant. I am really grateful to have her as my health care provider. Dr. Amy H Dodson is similar to the following 4 Doctors near Fishers, IN. Have you had a recent visit with Dr. Amy H Dodson? Select a star to let us know how it was.